Briox manages the entire billing flow. When the invoices are registered, you can send them by e-mail. The payments are collected from your bank and matched with the associated invoice. With Briox reminder management, you decide exactly when reminders are created. You send them by email with a simple click. If you use interest invoicing, you also create these in Briox and let the program to calculate the amounts to be invoiced. If you sell subscription or subscription based services, you can handle this easily in Briox. 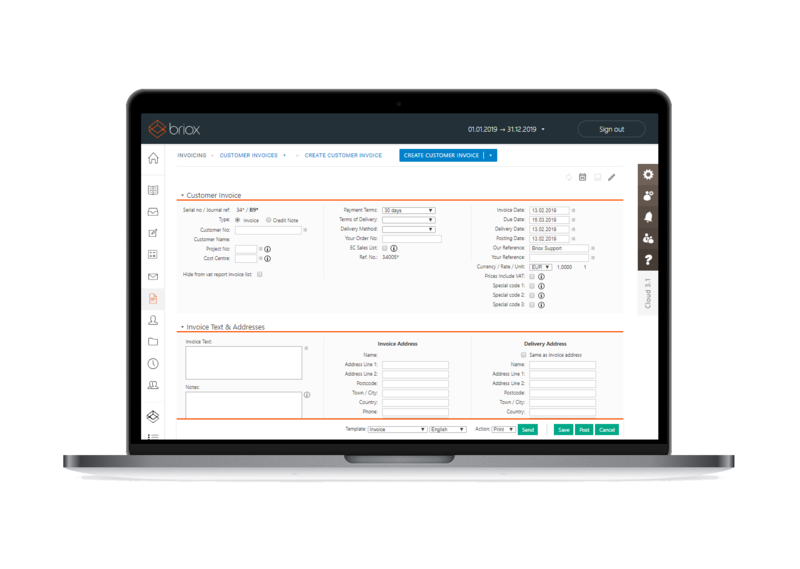 Create the subscription in Briox and let the program automatically create the invoices at each invoicing period. Once registered, you clearly see with the help of our colour coding which invoices are paid, unpaid or overdue. Recurring invoicing is a handy feature for those of you who invoice your customers at regular intervals, for example for rents or subscriptions. You can choose to register your payments manually. Alternatively, you can use our mass management functionality or upload a file from your bank to make payment management more efficient. You can easily create custom invoice templates so that both content and layout are just the way you want it. If your invoices have not been paid on time, you can send reminders to your customers with a simple click of a button. Briox reports give you full insight into the state of sales. 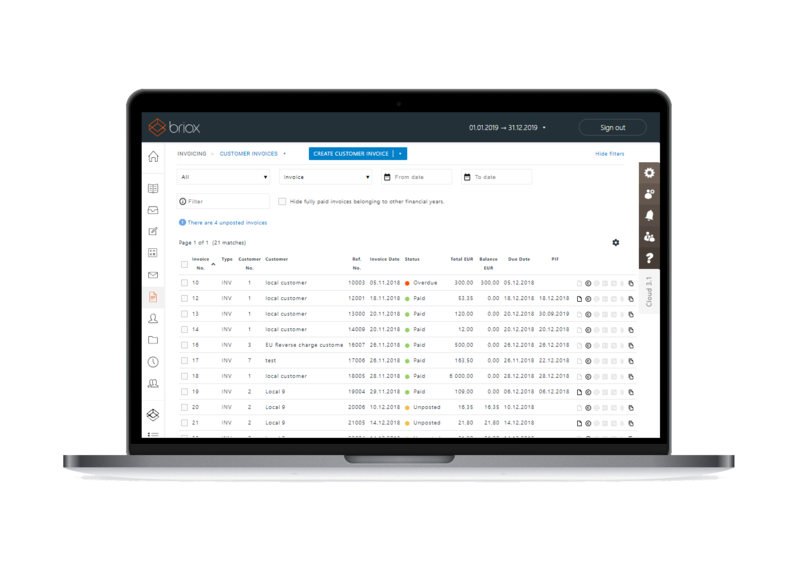 Resource lists, age analysis and customer statistics are examples of reports you receive in Briox.